The Evolis Zenius offers some of the most advanced technology for ID card printing in a compact, easy-to-use package. 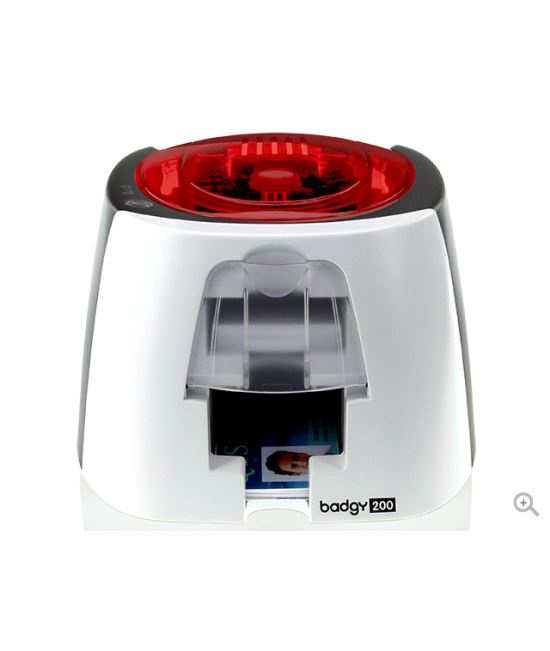 Zenius provides users the ability to print high-quality single-sided ID cards using edge-to-edge color dye sublimation or monochrome thermal transfer. Use the basic Zenius model for simple card designer simple upgrade for encoding can be added on later or at the time of purchase.The simplicity of the Evolis Zenius makes it your best option for a variety of applications: employee badges, access control badges, ID cards, payment cards, transportation passes, membership cards and rewards cards.